I know I said I wasn’t going to post much this week but I couldn’t pass this up. An Italian monk in a metal band. Wow. Well I am about ready to call it a night. 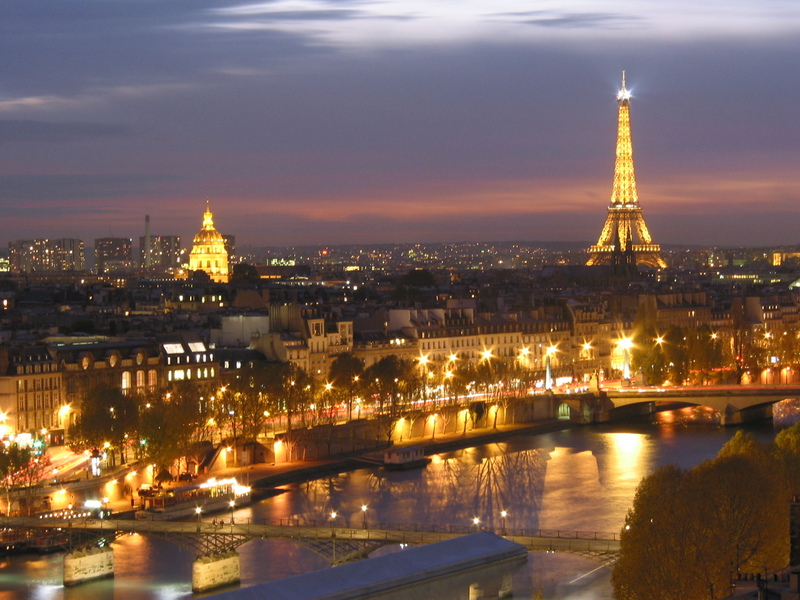 My wife and I are going to Paris tomorrow to celebrate our 10th wedding anniversary. So needless to say my blog will be a bit quiet. I did however find some sweet youtube Friday videos in my pre-trip internet prep. If you have any must see things I need to see while in Paris let me know. Talk to you soon. I have been blessed to be part of a group of colleagues who joined forces to become collaborators who I now count among my friends. This is a quick video I threw together for our pipeline conference last weekend. Collaboration Video from Sam Luce on Vimeo. New Blog Launched for Parents and Volunteers. I am announcing the launch of a new blog that is specifically designed for parents and volunteers. 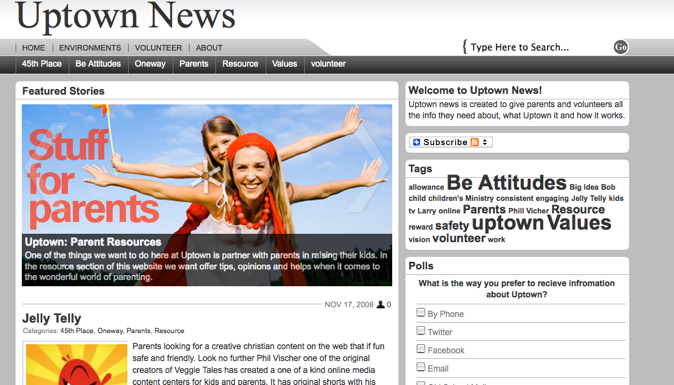 The site is called Uptown news. I will use it to keep parents and volunteers in the loop, and hopefully parents and volunteers will join in the converstion. It will also have useful posts about things facing families as well as resources to find out more information. The Volunteer side will be where we go to get info about all things Uptown, you will find an application form as well as curriculum links. Let me know what you think. Is there anything you would like to see added is anything unnecessary? How do you like the layout? Is it easy to navigate? Thoughts from Pipeline: Why are Children's Pastors afraid to lead? Aaron said a few times this weekend “To many children’s pastors are afraid to lead they, they lead to often apologetically”. I really think that he is on to something. I think that many times we spend so much time filling holes that we never focus on vision and values. Any time you fill positions with people who are asked to serve as more of a favor to the asker rather than as a buy in to the vision you will lead apologetically. Any time you feel bad that people are missing service instead of recognizing gift mixes within people and challenging them to stretch and grow their gift you will lead apologetically. Any time you forget the moment you were called by almighty God to work with kids, you will lead apologetically. Any time you rely on your own abilities instead of trusting His unending grace you will lead apologetically. 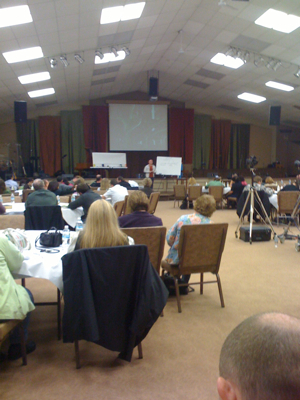 I know I was challenged by Aaron’s words to lead with more conviction and more clarity in the future. So to myself and all kids workers out there Go Lead!